O wow! That is awesome! Magnificent detail of this handsome little critter! Misty, this is wonderful, and what fantastic color! It's amazing to me that he stayed there long enough for you to get such a wonderful picture! What a great shot! Love that shadow. That is one of the nicest and most fun Macro Monday entries I've seen this week! Love the subject, the composition, the colours - everything! That's a wonderful shot, MD! 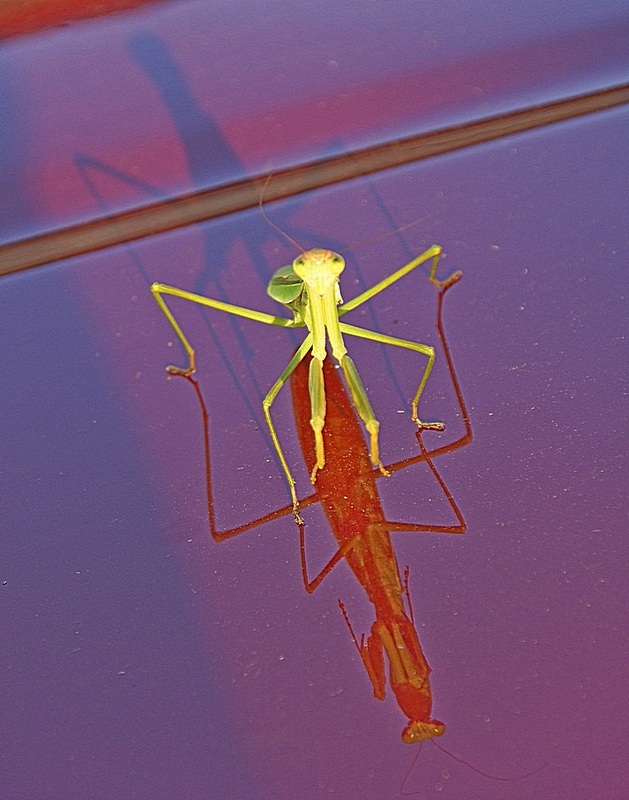 Wonderful capture, it's just so fun to see all 3 (the bug, the shadow and the reflection).